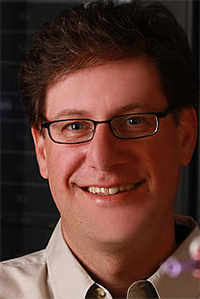 Congratulations to Dr. Chris Mundy at Pacific Northwest National Laboratory on being named a Fellow of the American Physical Society, which was founded in 1899. Mundy received this honor for his "pioneering applications of Kohn-Sham density functional theory to further our understanding of complex processes that occur at the air-water interface." For the last 15 years, Mundy has delved into the mysteries of the complex processes that occur at the air-water interface. He made seminal contributions regarding the structure, dynamics, and ion propensities to this important interface. His work has implications in chemical sciences including catalysis, biosciences, and geosciences. Mundy is well known for his scientific expertise and collaborative attitude. He is a principal investigator with the U.S. Department of Energy Office of Science's Basic Energy Sciences and has been for nearly a decade. With collaborators in the United States and Europe, he has written more than 80 research articles and given more than 50 invited lectures. He is a 5-time winner of an INCITE award, providing time on the nation's largest supercomputers. He coordinated a 2010 PacifiChem symposium on the subject of aqueous interfaces with American Physical Society Fellow Dr. Liem Dang. He regularly mentors students and postdoctoral fellows. Mundy joins Pacific Northwest National Laboratory's Dr. David Asner and Dr. Don Baer in being named fellows in 2014.